We are delighted to welcome You to Ukraine - a new destination within easy reach. Our company is based in Odessa - an important historical and cultural center of Ukraine. 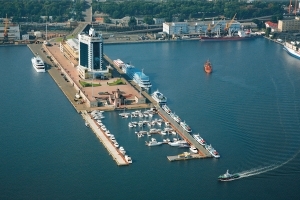 Odessa also is a big port on a Black Sea. Falcore Travel is specialized in planning, arranging and coordinating all aspects of your travel - group or FIT. We are also focused on providing distinctive and personalized service, based on your specific interest, needs and budget. • partners all over the world Our contacts, know-how and experience make it easy, safe and convenient to arrange you travel to Odessa and throughout Ukraine. Competitive prices, professional services are guaranteed by our company “Falcore Travel”. With us you can feel happy.